I found this cute little guy in the store and thought it was absolutely hilarious! I couldn’t resist buying it. Although it was a fun item to purchase, it also serves a practical purpose. Can you guess what it is? 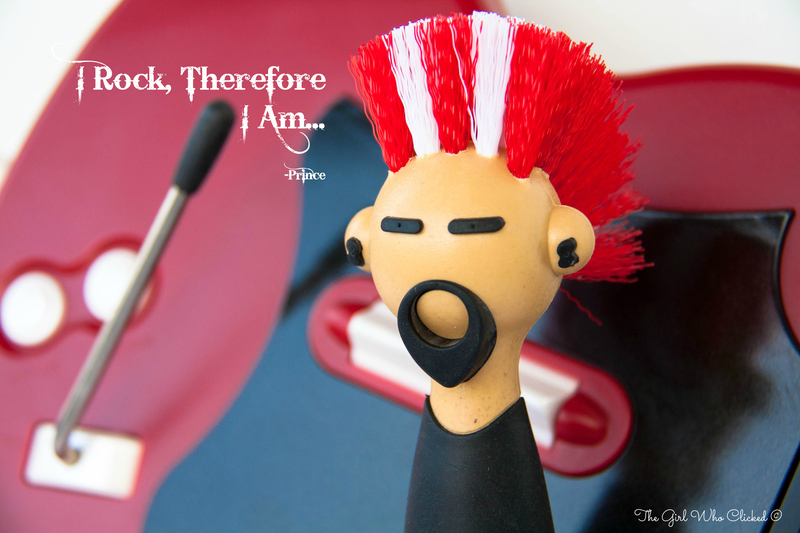 It’s a dish brush with attitude! Now when I scrub my dishes, I will have some rock song like Numb by Linkin Park in my mind.